Bryn Williams skips past a tackle for his second try of the match. Picture by Andy Jepson. Josh Holt bursts past his man to secure a Bromsgrove try. Picture by Andy Jepson. 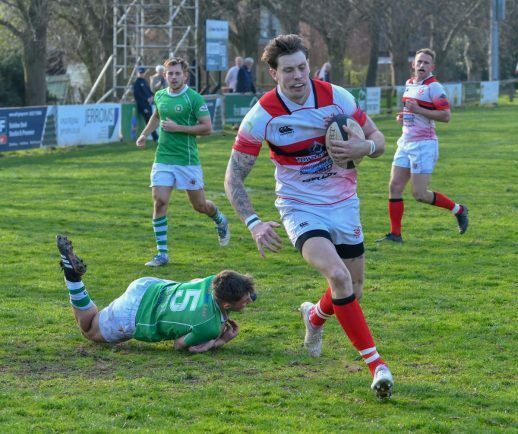 BROMSGROVE RFC head coach Dan Protherough expressed his desire for a better performance in the final away fixture of the season against Whitchurch, despite beating Sutton Coldfield 54-12 in Midlands 1 West. The Boars secured victory with braces for Bryn Williams, Josh Holt and Ed Spalding, whilst Luke Hoey and Drew Harper also crossed the whitewash at Finstall Park. But Protherough did not think the full-time scoreline was reflective of the usual standards set by the Boars. “We didn’t play particularly good, we were sloppy at times. 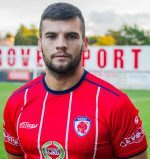 He emphasised that winning the title the previous week probably had an impact on the performance against Sutton Coldfield, amongst other factors, but wants to ensure his side see out the season with two more victories. “It was a difficult game in many ways, after the elation of the previous week, but we were lucky that Sutton were struggling in the game. “We were in charge for the first 15 to 20 minutes as they played poorly, but after that we didn’t show that same urgency that we usually do. “We mostly scored from breakaway tries, but I didn’t feel that there was that same level of enthusiasm, which probably isn’t helped by being at home against an inferior opponent. 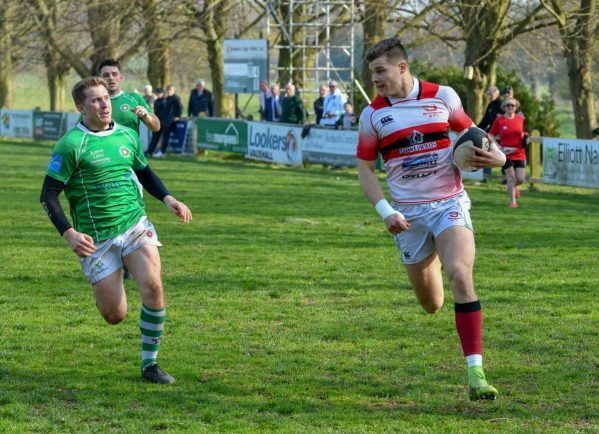 Bromsgrove breezed to a 36-0 victory in the reverse fixture against Saturday’s opponents Whitchurch, but Protherough warns of the strengths that they can pose the Boars. “They’ve played a good brand of rugby this season and are a great side.